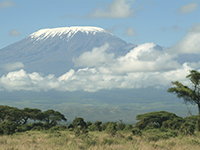 Several famous landmarks reside in Tanzania, including Mount Kilimanjaro and Serengeti National Park, while the scenic islands of Mafia, Bongoyo and Pemba offer relaxing stays for tourists seeking a gentler break. Around 75,000 British nationals visit Tanzania every year, which is only feasibly accessible by airplane, or a car journey of roughly 150 hours. Flying from London to Arusha Airport, for example, can produce a selection of flight times that will depend on your airline and how many stops you make. Flights can range between 17-25 hours in most cases, but other flights could require a travel time of nearer 44 hours. The time difference in Tanzania is two hours ahead of British Summer Time and three hours of Greenwich Mean Time, which should not result in drastic altering of your diabetes management. In Tanzania, which is just south of the Equator, the period of June to September is the coolest, but average temperatures still remain at around 20°C. If you take insulin, be wary that insulin absorption can be enhanced in warmer temperature and additional monitoring of blood sugar levels will be required. The currency used in Tanzania is the Tanzanian Shilling. Exchanging money in Tanzania is possible in most populated areas, although the rates are usually worse in hotels than banks. There are no mandatory vaccinations to enter Tanzania, however several are highly recommended. You should consult your doctor eight weeks prior to your departure in order to receive the vaccinations in time. Some travellers are also recommended to receive vaccinations for other diseases, including hepatitis B and rabies. It is not recommended for all travellers to receive yellow fever vaccine, however, it should be considered if you are staying a long time or will be heavily exposed to mosquitoes. The government of Tanzania also require proof of yellow fever vaccination if you have travelled from a country with a risk of yellow fever. UK citizens with diabetes will not be entitled to any free medication services while in Tanzania. Securing comprehensive medical insurance will be essential in order to obtain even basic treatment. Diabetic medication is available in Tanzania, but payment will be required from all pharmacies. You will be able to obtain urine testing equipment, although blood testing equipment is not widely available in rural areas. It is, however, available in most major towns and cities. The number to call in case of an emergency in Tanzania is 111. You should note which syringes are available in Tanzania, with U-100, U-80 and U-40 syringes the most commonly used. What language is spoken in Tanzania? Kiswahili. It is important to learn basic Kiswahili phrases as a minimum requirement before entering Tanzania. Only very basic English will be spoken so you will need to research the language to help you in your day-to-day activities.